We are in the final approach towards the re-opening of Star Tours at Disney’s Hollywood Studios (May 20, 2011) and at Disneyland (June 3, 2011). Disney has already begun it’s expected, lavish marketing campaign to boost the ride. Recently, we have seen the release of more details about the ride itself, the merchandise, and even the ride technology as Disney excites fans for this highly anticipated new opening. 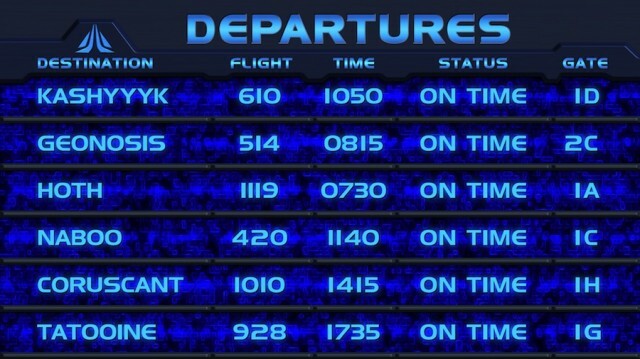 Recently, the Disney Parks Blog announced the destinations for the new Star Tours. These include, Kashyyyk (home of Chewbacca), Geonosis, Hoth, Naboo, Coruscant, and Tatooine (pod-racing). 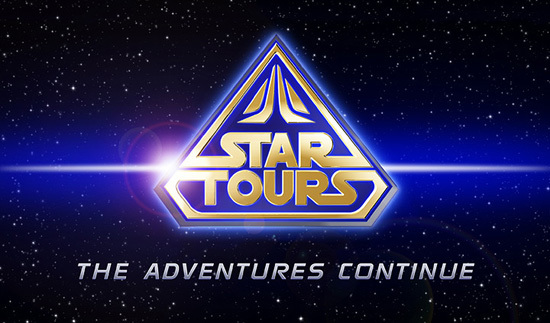 Star Tours will feature various different scenes that can be combined to form more than 60 different journeys. The park also released the video above, which appears to be a new queue video for the ride. In addition, the updated simulators will utilized Disney Digital 3-D technology for enhanced ride experiences. You can’t have an updated ride without updating the giftshop! Star Tours is no exception, both Star Traders at Disneyland and Tatooine Traders at Disney’s Hollywood Studios are both in the middle of refurbishments to be spruced up along with their new rides. 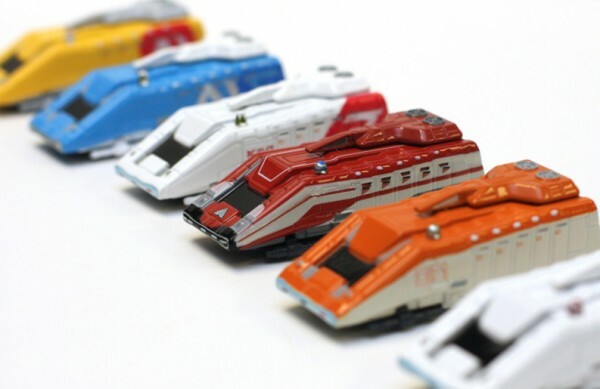 In a very appropriately titled Disney Parks Blog post These Are The Souveniers I’m Looking For, anxious fans got a preview at the new merchandise that will be available for Star Tours, including the line of miniature Star Speeders pictured below. Disney has also begun a series of other small promotional items for the re-launch of Star Tours including a mall tour in the Florida area, as well as StarToursPassport.com which allows jedi’s in training to create their own printable official Star Tours passport including a picture of them as either pod racer, queen, rebel pilot, or of course, jedi. Star Tours opens at Disney’s Hollywood Studios on May 20, 2011, followed by Disneyland on June 3, 2011. Where will the force take you? Leave a comment with your Park Thoughts below. Quassy Amusement Park in Milbury, Connecticut just opened up their first wooden coaster. Designed by the increasingly famous Gravity Group, Wooden Warrior is small but certainly packs a punch. Topping out at just 45′, the designers created something that was appealing to all members of the family. In a POV just released by the Gravity Group, it’s actually surprising the amount of airtime that is apparent on this new little wooden coaster. The new Timberline trains seem to fly over the hills and turns providing plenty of pops of airtime. The scale of this coaster greatly differs from past Gravity Group creations such as the Voyage, and Fireball. However, this year also marks the first year the Gravity Group is opening more than one roller coaster. With Twister opening up and being a similar, small-scale family coaster, this could be an indication for the future with us seeing 1-2 smaller coasters along with one mega coaster opening each year from the Gravity Group. What’s your take on the new Quassy coaster and the future of Gravity Group? Leave a comment with your Park Thoughts below. After an 8 day trip to Florida, and life getting in the way, we’ve had to slow down posts for a while. Here is a round up of the major construction happenings for the past couple of weeks. Yesterday marked the opening of the New Texas Giant at Six Flags Over Texas. After closing in 2009, Rocky Mountain Construction company introduced an entirely new track system for the ride. After 2 years of construction, and jump starting the 50th Anniversary of Six Flags Over Texas, the new Texas Giant looks spectacular. Initial rider reports indicate the ride features plenty of airtime and rider view POV’s seem to show plenty of ejector airtime. For those heading to the park, expect 90 minute – 2 hour wait times by the middle of the day so get your ride early! Video by YouTube member CoasterCrutchfield. We are just over a month from Cheetah Hunt’s May 27, 2011 opening. The park has begun the more than 3,000 tests that will happen before a single rider takes the coaster for the spin. Each of the three launch sections are being tested individually with each train as it progressively gets faster with each test before getting over the launch point. A great video by YouTube member Milleniumforce (ironic, eh?) shows the coaster testing from multiple angles. It’s unbelievable to me just how huge this ride is. Krake has made it’s debut at Heide-Park as the first 6-abreast “compact” B&M dive machine. The ride, which is themed to the giant squid, features some unique (sparse) theming including a shipwreck and giant Kraken squid mouth. The layout consists of a drop, into a splash, immediately into an immelamann and lastly a turn into the brake run. While short, it’s nice to see more parks get this unique style of coaster. Check out a news feature about the coaster here. It’s been a big week for the Gravity Group. First, their new compact coaster, Twister at Gröna Lund in Sweden began testing. Twister is a small and compact creation that is sure to be smooth with those fancy, new Timberliner trains. The coaster overlaps and intertwines with the pre-existing additions of the park and is sure to be a welcome family attraction. Another Gravity Group family creation, Wooden Warrior Roller Coaster at Quassy Amusement Park just made it’s first public debut and has since received thumbs up from the general public and coaster enthusiasts, alike. In a video posted by the Gravity Group, the new Timberline trains seem to glide through the turns and hills and there even appears to be moments of air time in the Gravity Group’s latest attraction. Yesterday, SeaWorld Orlando debuted it’s new Shamu spectacular, One Ocean. The new show features original music and new tricks. To bring the new show to life, SeaWorld greatly enhanced the pre-existing Believe! stadium with new decor to embrace the theme of unity. Also added to Shamu Stadium was a new fountain system that gives new life to the killer whale show and also soaks guests even more. One Ocean will open at SeaWorld San Diego, in May, followed by San Antonio in June. Check out this video by Attractions Magazine from the show’s debut. That’s it for this Construction Update, check back every week or so for another.